If there’s one thing I’m making a lot of this holiday season (other than cookies, of course), it’s dip. Both families do their holidays pot-luck style and dips are a great thing for the buffet table. This dip I brought to my family Christmas party last weekend as a lighter dessert option. We served it with apple slices, melon, banana and strawberries. It went over really well – some people even ate it without the fruit! 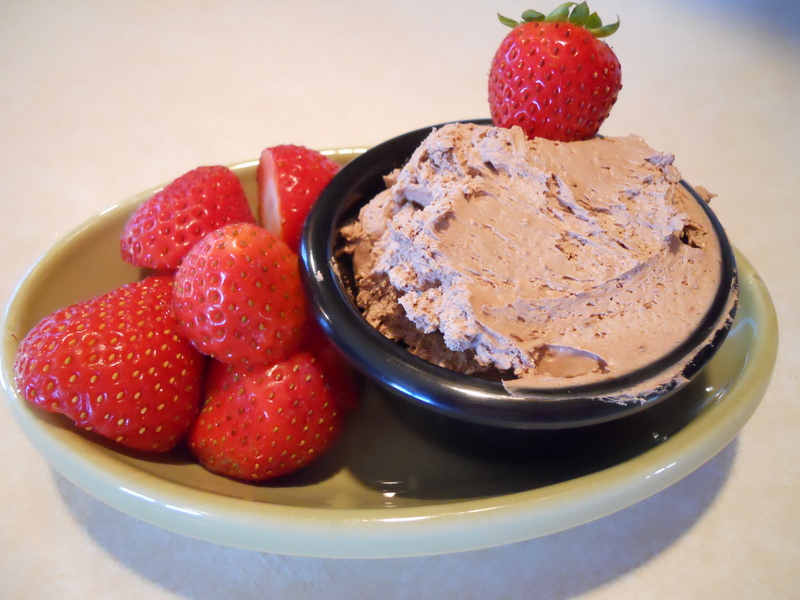 You could easily lighten up this dip by using fat free cream cheese and fat free cool whip and make it quite diet-friendly. It’s also a great option if you want (or need) to make something gluten free. In a large bowl, beat cream cheese and sugar until smooth. Beat in cocoa and vanilla. Beat in whipped topping until smooth. Serve with fruit.